The ZEP Commercial 5 gal. 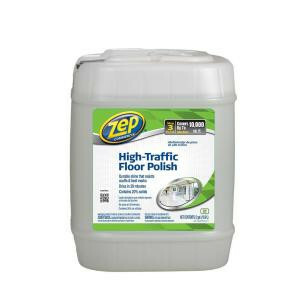 High-Traffic Floor Polish is designed to provide a durable, high-gloss shine that requires little maintenance. This finish is specially formulated to resist scuffs and heel marks. This cleaner can also help prevent slips and dries in 30 minutes.